Hosting corporate events in Massachusetts can be challenging, especially if you don’t have any experience planning a gathering of this scale. Conventions can vary in size, from small events of 200 people to larger-scale industry-wide projects that attract over a thousand attendees from across the country. Professional New Bedford convention planning is a lot easier if you have a solid plan, stay organized, and hire a good support team to help you achieve your goals. The key is to secure a Southeastern Massachusetts event venue that will hold all of your guests, have room for any special functions within the convention, and that has all of the amenities you require. Venus de Milo has over 50 years of experience working with clients to host small and large-scale events. 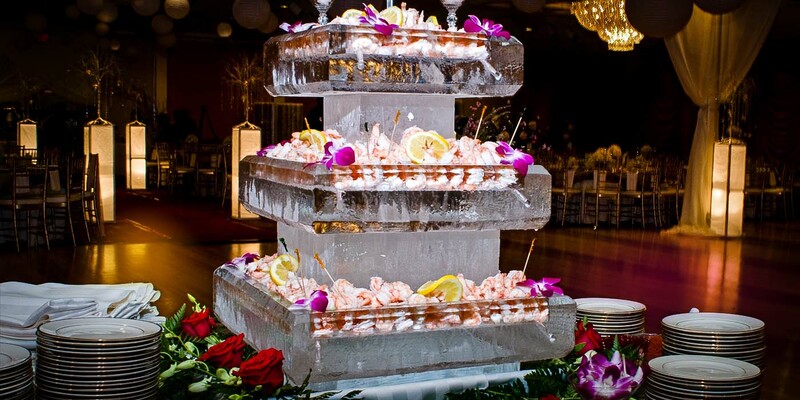 Our on-site coordinators and staff can help you with all of your Swansea, MA event planning needs to give you a head-start on everything from in-house catering to pre-vetted local vendors. A lot of money goes into hosting corporate events in Massachusetts, covering everything from the venue costs to food, hiring speakers and putting on workshops, establishing schedules, planning parties, and everything in between. Find out how much you have to work with and then set a goal for sponsors as part of your New Bedford convention planning vision to cover all of the extras that you want to include. What do you want to get out of hosting a convention and expo at a Southeastern Massachusetts event venue? Write down your goals so you can keep them in mind when things start getting crazing during the planning process. Do you want to make a financial profit or establish yourself as an industry leader? Will the event be more about education or networking? It cannot be stated enough that you need to secure the venue for your Swansea, MA event planning needs as soon as you settle on a date. This is especially true during wedding season, around holidays, or any other time of year when quality venue space might be sparse. Tour the venue and talk about your needs with the on-site event coordinator. Our ballroom spaces can be reconfigured to allow for separate dining and meeting spaces, as well as break-out rooms, workshop spaces, and VIP areas. We can provide you and your guests with free Wi-Fi, quality tech services, and a wide range of up-to-date audiovisual services to enhance your presentations. Food and refreshments are essential for any successful corporate event. As you begin to flesh out the ideas for your New Bedford convention planning, stop to think about refreshments to be served during seminars and workshops, meals that will be included, and any other food services that you might need for parties or networking opportunities. Start contacting industry businesses that would benefit from sponsoring your event in some way. While some of the companies might only want to rent booth space at your expo, others could be interested in sponsoring seminars, workshops, food service, networking parties, and other schedule events within your convention. Search online for event registration solutions that can be integrated into your event website that will allow attendees to register for your convention. 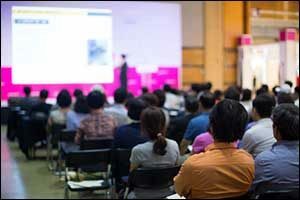 When hosting corporate events in Massachusetts, the number of attendees is extremely important. It helps sponsors and other participants to get the most value out of being involved in your event. While it is often best to bring in employees from your own company to serve as on-site registration, customer service, and coordinating staff if this is not possible start looking for individuals who would help you to achieve your goals. Have regular meetings to update them on any changes and provide training, as needed, to make sure everyone knows what they need to do at the Southeastern Massachusetts event venue. A few weeks before the event, make sure to meet with staff at the venue to go over details for your New Bedford convention planning. Double-check with any outside vendors, contact paid speakers and hosts, send out reminders to attendees to get them hyped about the event, and make sure everything is paid for, scheduled, and ready to go. Have a solid schedule of everything that will happen during the convention. Swansea, MA event planning is more about being organized and making sure that everything goes smoothly on the day of the expo than anything else. The more prepared you and your team are ahead of time, the easier it will be when you all get to the venue. As the event coordinator and planner, you need to smile and enjoy the fruits of your labor when hosting corporate events in Massachusetts. If you have done your job and everyone else knows what they are expected to do, everything should go smoothly. However, accidents, issues, and misunderstandings are common in event planning, so be prepared to take a deep breath, tackle any problems head-on, and never let them see you sweat! Interested in hosting corporate events in Massachusetts for your business or industry? Contact the world-famous Venus de Milo for all of your Greater New Bedford convention planning needs. Conveniently located in Swansea, MA, we are easily accessible to guests coming from all over Southeastern Massachusetts, Cape Cod, the Greater Boston area, and Rhode Island. Give us a call at 508-678-3901 to discuss your needs for corporate event planning at our well-appointed facility.